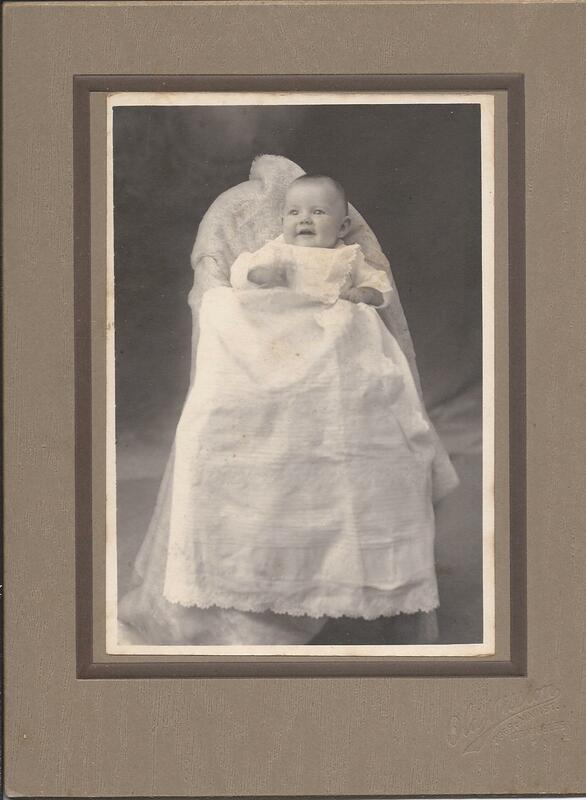 Photograph of a baby identified on reverse as Katherine E. Tasker at four months old. 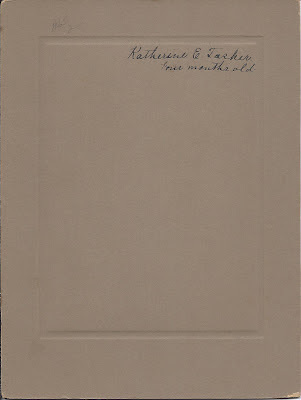 There's a very faint photographer's imprint at the bottom front of the photograph, for a studio in Los Angeles, California. 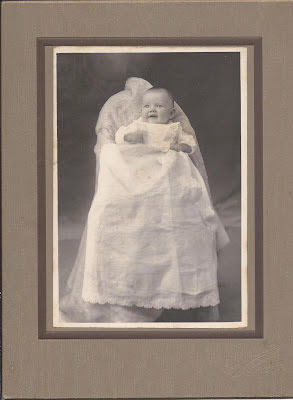 Because of the Los Angeles imprint and the fact that the photograph was purchased in Maine, I believe the baby in the photograph is Katherine E. Tasker, daughter of Wallace Lincoln Tasker and his second wife Ethel V. (Johnston) Tasker of Maine, who had moved to Los Angeles by the time of Katherine's birth on 2 February 1907. Wallace's first wife, Vesta May Kearney, whom he married in 1894, died not long after their marriage. 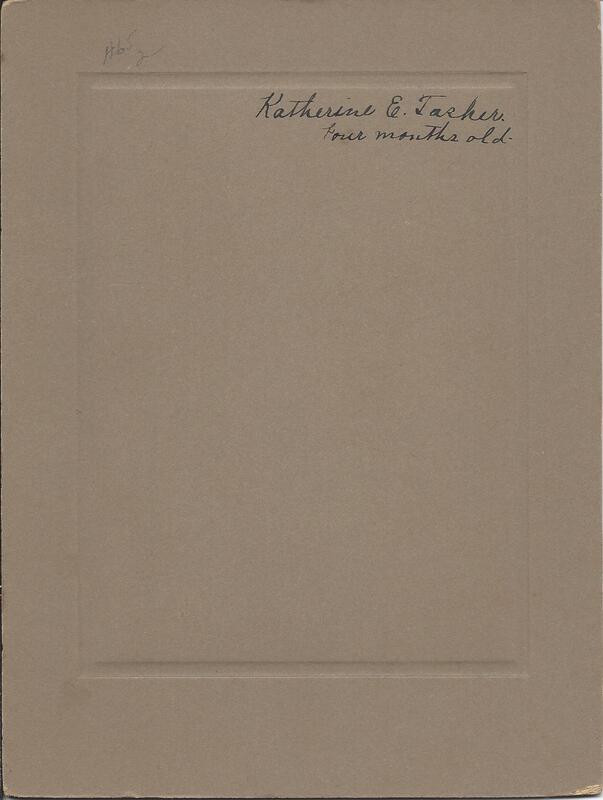 Katherine's paternal grandparents were Benjamin and Sarah E. (White) Tasker. Her maternal grandparents were Lenoir and Katie L. (Tracy) Johnston. Katherine graduated in 1928 from the Stanford School of Nursing and worked in the health field for over forty years. After her retirement, she moved back to midcoast Maine, in Camden and Rockland. I don't believe she married. Access her 2003 obituary here. If you have any corrections to the information provided here, please leave a comment or contact me directly.